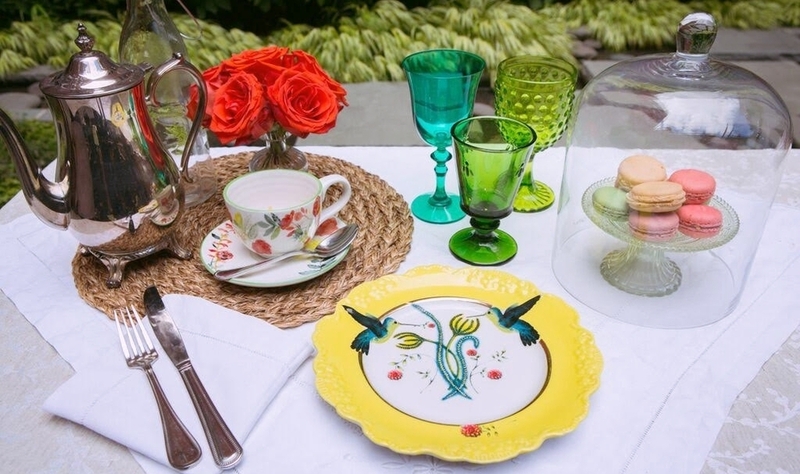 Summer is the perfect season to host a garden party. Whether you’re hosting on a city rooftop or on a country hillside, a dinner party under the stars or a tea-time gathering, the great outdoors offers a perfect - and often budget friendly - backdrop for your next event. Fresh flowers (we’re partial to hydrangeas and peonies) and mix and match floral china creates a delightfully elegant set up. We’ve fallen for the new Garden Party Botanical Hard Sodas. All natural ingredients with a kick, these are cool enough to be served as is, just add paper straws for an extra pop of color. Macaroons are both decorative and delicious! Have them on hand in glass bell jars or in eco-friendly berry pint containers for guests to enjoy.